I have been an active biker for the past three decades and in this time I’ve experienced first class biking moments that took place in various parts of Slovenia. I mostly like to set out on a tour in the central or north-western part of Slovenia, where the landscape is more hilly, with a network of valleys, lakes and rivers. One can also find more demanding biking trails in these parts, which makes me happy and fills me with great energy. I am a diverse biker and as such can always find good biking tours and challenges. While biking, I become acquainted with towns, villages, mountains, passes and secluded pearls of nature in my homeland. 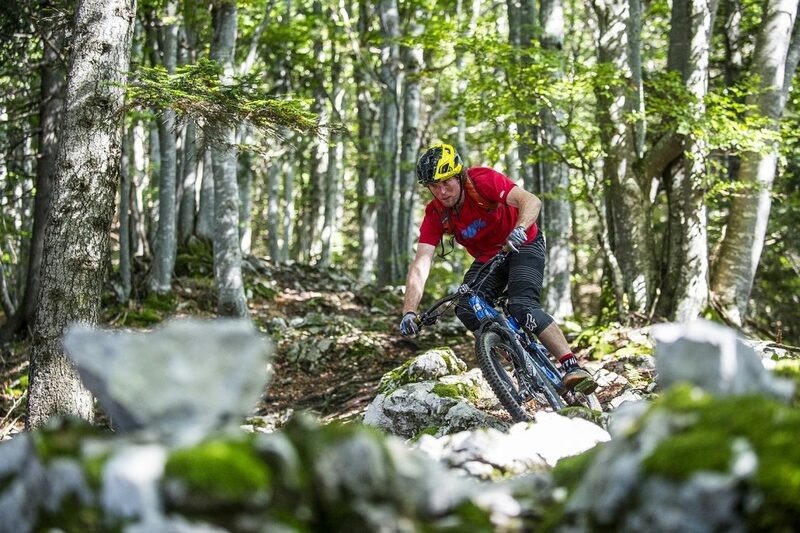 I can without any hesitation say that Slovenia offers remarkable routes for mountain bikers as well as bikers which search for more demanding enduro trails and for all those, who find pleasure in longer mountain biking tours (also multi-day ones). My marvelous little country, where a tourist slogan stands – Feel Green, Active and Healthy – offers excellent chances for an adventure or the so called gravel biking. 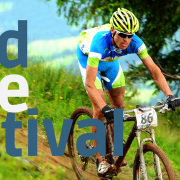 Slovenia has a network of gravel and forest roads, which are just right for all cyclo-cross, adventure (gravel) or travel (trekking) bikers. 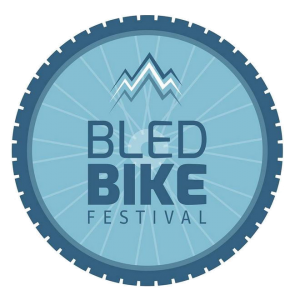 Those can find a bikers’ paradise in this country, full of explore cycling and discovering unspoiled natural areas. Longer cycling tours can be very well feasible as multi-day, stage cycling with an overnight in cosy, small hotels and private pensions along the route. One can find dynamic trails through forests, across vast plains, wine groves, corn fields, green meadows and mountain mule tracks. 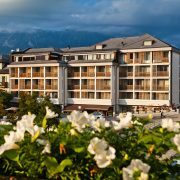 While on tour, a biker can become acquainted with new towns and villages, meet nice and friendly locals as well as experience charming accommodations for a much deserved rest after an active day. 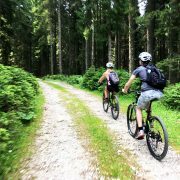 For some bike trekkers with panniers on the bike, who like to “travel slow – explore more”, Slovenia can be just right and a very appropriate destination, due to its small scale and close proximity of villages and towns. One can cycle across Slovenia in one week and experience landscapes from the Pannonia planes all the way to the Adriatic Sea. I must admit, I am not a road cyclist, but I find myself of a road bike now and then and set out on a longer, dynamic stage. I love to ascend on the well-known Vrsic mountain pass, sometimes even higher, on the marvelous Mangart saddle or other popular passes in the Julian Alps. These are first class winding roads, full of magnificent views and cycling challenges. 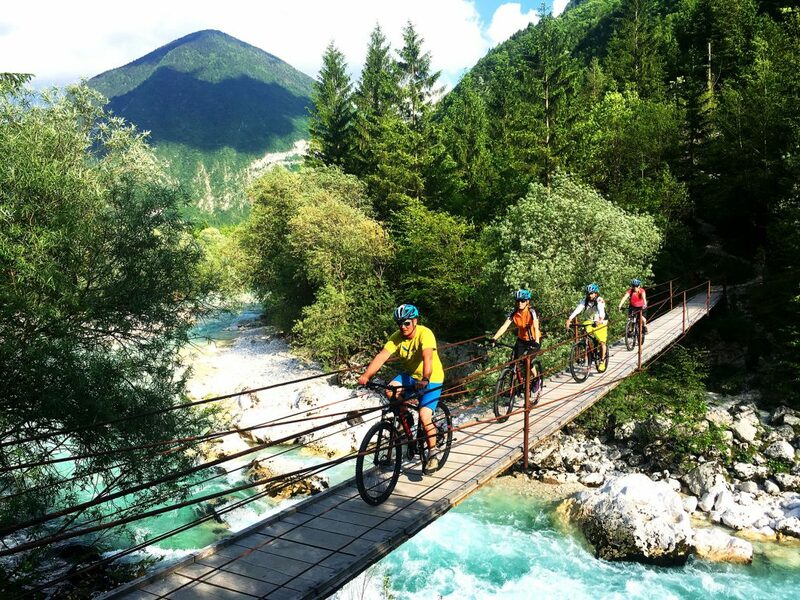 Slovenia is a paradise for road cycling, for one can choose between lowland areas in the east or mountainous areas in the south-west, by the Adriatic Coast, or the more challenging and true mountainous stages in the north-western part of Slovenia. 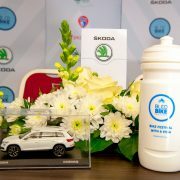 Road cyclists, which have already visited Slovenia, can say that the stages are simply remarkable and the landscape and nature unique. Everything is in close proximity and there is enough good quality infrastructure along the roads, which makes cyclists feel very safe. 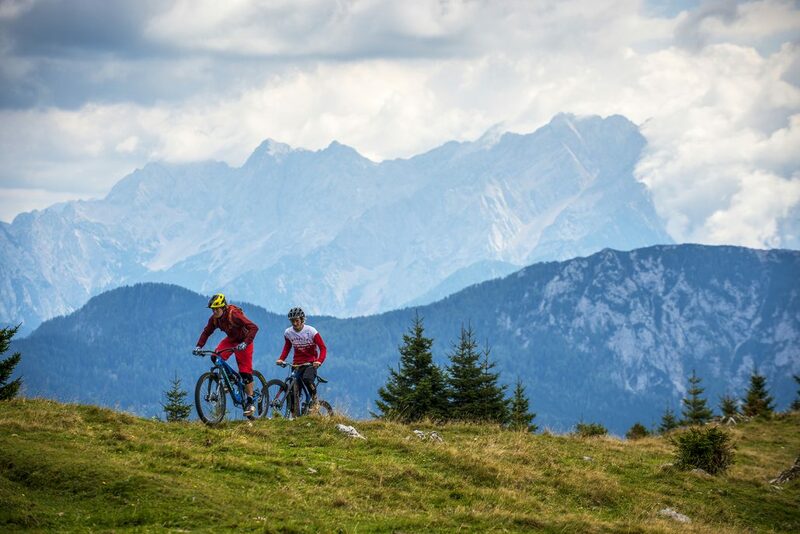 I can proudly say that this little land “on the sunny side of the Alps”, a term our locals like to use, is an excellent choice for all types of bikers: lovers of mountain trails, road cyclists as well as travel (trekking) researchers and E-bike users. 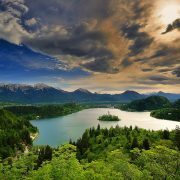 Slovenia is an undiscovered biking gem, which is slowly being polished, slowly awakening and this is an excellent opportunity for all bikers to experience unspoilt and remarkable natural wonders. 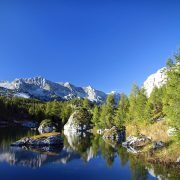 Slovenia is considered Europe’s green destination.